Gov. Paul E. Patton (left), Colin Powell (center, and Pres. 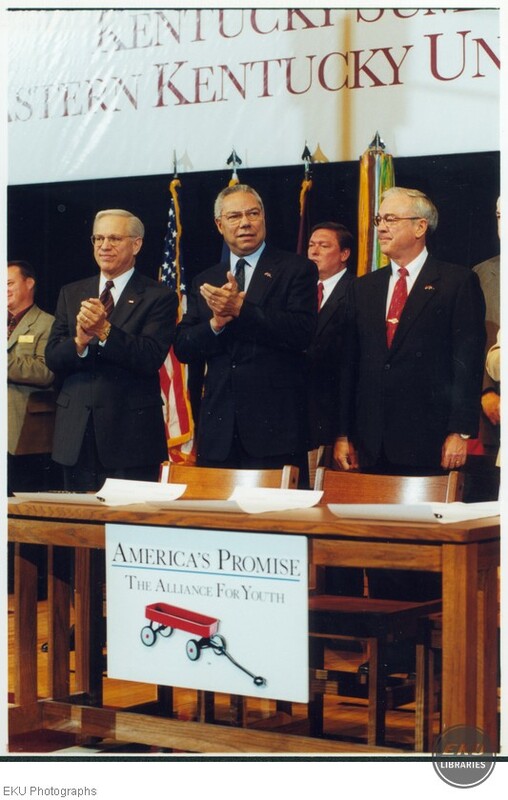 Robert Kustra (right) at the signing of the America's Promise Governor's Partnership for the Alliance of Youth. “Robert Kustra, Colin Powell and Gov. Paul E. Patton,” Digital Collections, accessed April 25, 2019, https://digitalcollections.eku.edu/items/show/32391.